US President Barack Obama called Donald Trump, his newly-elected successor, Wednesday to congratulate him on his victory and invited him to the White House for talks on Thursday. Obama also called Hillary Clinton, his onetime secretary of state and fellow Democrat, to express his “admiration for the strong campaign she waged throughout the country,” White House spokesman Josh Earnest said in a statement. The president was set to make a statement later Wednesday about the election results, which sent a shockwave across America and through world markets. At the White House, Obama — whose own 2008 campaign to make history as the country’s first black president hinged on unifying a divided country — plans to discuss “what steps we can take as a country to come together after this hard-fought election season,” Earnest said. 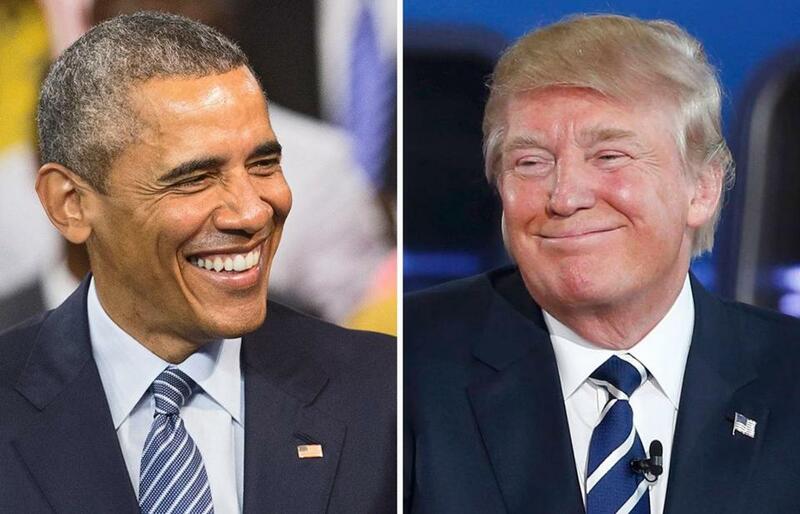 During their talks on Thursday, Obama and Trump — who once spearheaded the so-called birther movement questioning the president’s place of birth and legitimacy to be president — are set to discuss the presidential transition. “Ensuring a smooth transition of power is one of the top priorities the president identified at the beginning of the year and a meeting with the president-elect is the next step,” added Earnest.